Review Santa Fe Photo Festival, NOVEMBER 2-6, 2016, is the premier juried portfolio review event in the world. The Festival offers photographers, reviewers and photo enthusiasts a week of photographic programming and events. Review Santa Fe Photo Festival 2016 features a number of ways to connect including: two professional development workshops (career reviews & preparing for reviews), exhibitions, artist talks, portfolio viewing, two receptions, a dinner honoring Susan Meiselas and more. You can view the full event schedule here. There are lots of ways to get involved in Review Santa Fe Photo Festival. CENTER Award & Grant winners will be offering a number of free and open to the public artist talks Friday, November 4 & Saturday, November 5. The Review Santa Fe 100 photographers will be showcasing their work at Portfolio Viewing the evening of Friday, November 4. In addition to free public programming, Review Santa Fe Photo Festival is offering a festival pass which offers entry into two private receptions with artists and reviewers and VIP hour at Portfolio Viewing. The pass offers a great way to stay plugged in to the CENTER network, and connect with artists and reviewers. The poignant documentary debuts Monday, Nov. 14 (8:00–9:15 p.m. ET/PT), exclusively on HBO. A pop-up photographic retrospective exhibit, in association with The Monroe Gallery of Photography. Also on view at Monroe Gallery of Photography, Santa Fe, NM. Monroe Gallery of Photography announces three timely exhibits for November, two of which coincide with major film releases. Beginning November 1, LIFE magazine photographer Grey Villet's intimate images of Richard and Mildred Loving, an interracial couple who married and then spent the next nine years fighting for the right to live as a family in their hometown, will be on exhibit. Their civil rights case, Loving v. Virginia, went all the way to the Supreme Court, which in 1967 reaffirmed the very foundation of the right to marry. On November 4, the feature film “Loving” opens, from acclaimed writer/director Jeff Nichols and starring Joel Edgerton and Ruth Negga in the roles of Richard and Mildred Loving. Grey Villet’s photographs are on exhibit November 1 – December 31, 2016, and will then be exhibited at Photo LA, January 12 – 17, 2017. Monroe Gallery of Photography will present a pop-up gallery exhibition in collaboration with veteran curator and art critic Peter Frank: “Tony Vaccaro: War, Peace, Beauty”, November 11 to 21, 2016, at 508 West 26th Street, 5th floor, in the West Chelsea Arts Building in New York City. The exhibit opens with a reception for Tony Vaccaro, Friday, November 11, 6 – 8 pm. Sidney and Michelle Monroe will be in attendance. Tony Vaccaro’s photographs will be on exhibit concurrently at Monroe Gallery in Santa Fe, NM, through December 31, 2016. The Vaccaro exhibits coincide with the HBO premiere on Monday, November 14, of the documentary film “Under Fire: The Untold Story of Private First Class Tony Vaccaro”. The film tells the story of how Tony survived the war, fighting the enemy while also documenting his experience at great risk, developing his photos in combat helmets at night and hanging the negatives from tree branches. The film also encompasses a wide range of contemporary issues regarding combat photography such as the ethical challenges of witnessing and recording conflict, the ways in which combat photography helps to define how wars are perceived by the public, and the sheer difficulty of staying alive while taking photos in a war zone. Finally, on November 25 Monroe Gallery presents a major exhibition of photographs from one of America’s most accomplished photographers, Art Shay. The exhibit of 50 photographs opens Friday, November 25 with a reception for the 94-year old photographer from 5 – 7 PM, and continues through January 22, 2017. Gallery hours are 10 to 5 Daily, admission is free. For further information, please contact the Gallery. Carl Iwasaki's photograph of the Brown Sisters in featured in the current exhibition "History in a Moment" through November 20, 2016. 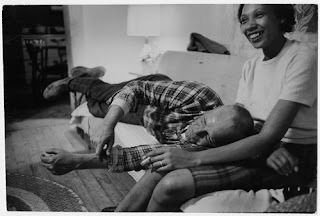 Santa Fe--Monroe Gallery of Photography, 112 Don Gaspar, is pleased to exhibit LIFE magazine photographer Grey Villet's intimate images of an interracial couple, Richardand Mildred Loving, who married and then spent the next nine years fighting for the right to live as a family in their hometown. Their civil rights case, Loving v. Virginia, went all the way to the Supreme Court, which in 1967 reaffirmed the very foundation of the right to marry. Grey Villet’s photographs are on exhibit November 1 – December 21, 2016. On November 4, the feature film “Loving” opens, from acclaimed writer/director Jeff Nichols and starring Joel Edgerton and Ruth Negga in the roles of Richard and Mildred Loving. The families of Richard Perry Loving and Mildred Delores Jeter had lived in Caroline County, Virginia for generations. Richard first met Mildred while listening to her brothers play music at the Jeters’ home. They dated for a few years before deciding to marry. Interracial marriage was illegal in Virginia and in twenty-five other states. For this reason, on June 2, 1958, Richard brought to his bride-to-be to Washington, D.C., where there were no racial bans on marriage. Based on an anonymous tip that the Lovings were illegally living as a married, sheriff Garnett Brooks and two deputies burst into the Lovings’ bedroom on July 11, 1958 at 2 a.m. When Richard explained that the woman in bed with him was his wife, Brooks replied, “Not here she’s not.” They were arrested for unlawful cohabitation and both pled not guilty. Richard only spent one night in jail while Mildred had to spend four; Richard was told that he would be put back in jail if he tried to bail out his wife. 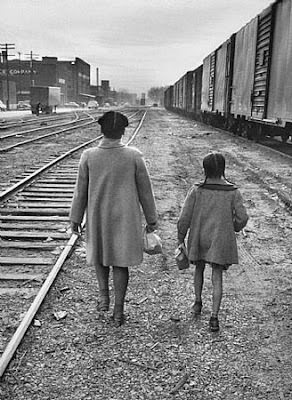 In October 1958, the grand jury of the Circuit Court of Caroline County charged the Lovings with violating two sections of Virginia’s 1924 Racial Integrity Act. Because Richard was white and Mildred was African American and Native American, their marriage was illegal and a felony offence in Virginia. Banished from Virginia, the Lovings’ moved to Washington, D.C. In June 1963, Mildred wrote to Attorney General Robert Kennedy, asking if the new Civil Rights legislation would help her family return to Virginia. Kennedy responded that Mildred contact the American Civil Liberties Union, who had been actively pursuing anti-miscegenation test cases since the late 1950s. ACLU attorneys Bernard S. Cohen and Philip J. Hirschkop took the Lovings’ case, filing a brief in November 1964. The Loving v. Virginia decision delivered on June 12, 1967, found all miscegenation laws unconstitutional. "Marriage is one of the "basic civil rights of man," fundamental to our very existence and survival. To deny this fundamental freedom on so unsupportable a basis as the racial classifications embodied in these statutes, classifications so directly subversive of the principle of equality at the heart of the Fourteenth Amendment, is surely to deprive all the State's citizens of liberty without due process of law. The Fourteenth Amendment requires that the freedom of choice to marry not be restricted by invidious racial discriminations. Under our Constitution, the freedom to marry, or not marry, a person of another race resides with the individual, and cannot be infringed by the State." In an era before any digital tinkering with results was possible, Grey Villet’s technique was one that required intense concentration, patience and understanding of his subjects joined with a technical mastery that allowed rapid use of differing cameras and lenses to capture and compose the "right stuff" on film as it happened. “RIGHTS, RACE & REVOLUTIONS:A Portrait of LIFE in 1960s America by Grey Villet” was exhibited at the Museum at Bethel Woods April 2 – December 31, 2016. Grey Villet died in 2000. Gallery hours are 10 to 5 Daily, admission is free. Visit www.monroegallery.com for more information.